The Department of Diagnostic and Interventional Neuroradiology at the University Hospital Saarland offers the full range of services in this medical field. Of particular interest are interventional procedures for the treatment of acute and chronic vascular diseases, such as ischemic strokes, cerebral hemorrhages, cerebral artery stenosis or vascular malformations. To ensure comprehensive medical care, there is maintained close cooperation with the Departments of Neurology and Neurosurgery. The department is headed by Prof. Dr. med. Wolfgang Reith. 1983 - 1984 Study of Medicine at the Ludwig Maximilian University of Munich. 2/1990 - 7/1991 Intern, Department of Neurology, University Hospital Heidelberg (Head: Prof. Dr. med. W. Hacke). 8/1991 - 12/1991 Fellow of the Department of Neurology, University Hospital Heidelberg (Head: Prof. Dr. med. W. Hacke). 1992 - 1997 Fellow, Neuroradiology, University Hospital Heidelberg (Head: Prof. Dr. med. Sartor). 7/1993 - 2/1994 Scientific internship in the USA, Medical School of Central Massachusetts, Worcester, USA. 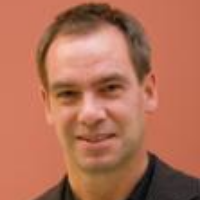 1/1995 - 6/1995 Assistant Physician, focuses: Radiology and Oncology, German Cancer Research Center Heidelberg (Head: Prof. Dr. van Kaick). 7/1995 - 7/1996 Assistant Physician, Department of Radiology, University Hospital Heidelberg (Head: Prof. Dr. med. Kaufmann). 12/1991 PhD defense. Subject: "CO2 reactivity of the middle cerebral artery in carotid artery obstruction." 12/1996 Medical Specialist in Diagnostic Radiology. 10/1997 Habilitation. Subject: "Perfusion and diffusion-weighted magnetic resonance imaging in early diagnosis of acute stroke". 1/1998 - 12/1999 Senior Physician of the Department of Neuroradiology, University Hospital Aachen (Head: Prof. Dr. A. Thron). 2/2000 Head of the Department of Diagnostic and Interventional Neuroradiology, University Hospital Saarland, Homburg. Since 2000, Co-editor of the journal "Radiologist", Springer-Verlag. Since 2003, Member of the Extended Council of the German Society for Neuroradiology. Department of Diagnostic and Interventional Neuroradiology.